Little Havana Blues is a medley of voices—narrators, essayists and poets—that have come to forge a literary identity within the United States since their parents left Cuba to go into exile. 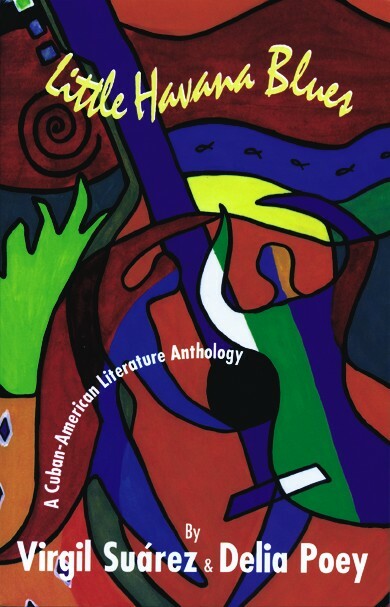 However, this first comprehensive anthology of Cuban-American literature is not a symphony of the exile or immigrant generation and its letters. Instead, these writers are staking their claim on part of the American mosaic, with Pulitzer Prices and other awards in hand. But in their Americanization they are not rejecting their heritage or their Hispanic culture; rather they are Cubanizing, tropicalizing, expanding the realm of American culture and letters. Their vision is inclusive; their sources go deep into Anglo- and Hispano-European tradition and as deeply into Afro-Caribbean and mestizo culture, not to mention their love affair with popular culture and its icons. Included in Little Havana Blues are writers both established and burgeoning onto the literary scene: Pulitzer Prize winter Oscar Hijuelos, Rafael Compo, Gustavo Pérez Firmat, Margarita Engle, Roberto Fernández, Dolores Prida, Jose Yglesias and many others. Accompanying the selections are an introduction and bibliography by the editors. VIRGIL SUÁREZ is the highly praised author of numerous works about the Cuban-American experience. They are: Infinite Refuge (2002), The Cutter (1998), Spared Angola: Memoirs of a Cuban-American Childhood (1997), Going Under (1996), Havana Thursdays (1995), Welcome to the Oasis and Other Stories (1992) and Latin Jazz (1989). He is the co-editor of the best-selling anthology, Iguana Dreams: New Latino Fiction (Harperperennial Library, 1992), the first anthology of Cuban-American writers, Little Havana Blues (Arte Público Press, 1996), and a collection of contemporary Latino poetry, Paper Dance: 55 Latino Poets (Persea Books, 2000). He is a professor of creative writing at Florida State University in Tallahassee. DELIA POEY is an associate professor of Spanish at Florida State University.